Could immunotherapy efficacy be enhanced by reprogramming tumor blood vessels? A group of researchers from Ecole Polytechnique Federal de Lausanne (EPFL, Switzerland) have uncovered a novel way of improving the efficacy of cancer immunotherapy by blocking two proteins that are known to regulate the growth of tumor blood vessels. The findings were recently published in Science Translational Medicine. In the study, the team of scientists co-blocked ANGPT2 and VEGFA (two proangiogenic cytokines) by utilizing the bispecific antibody A2V in genetically engineered and transplant tumor models of metastatic breast cancer, pancreatic neuroendocrine tumor and melanoma. The team demonstrated that A2V promoted tumor necrosis, vascular regression and antigen presentation by intratumoral phagocytes. Furthermore, they highlighted that A2V normalized the remaining blood vessels. 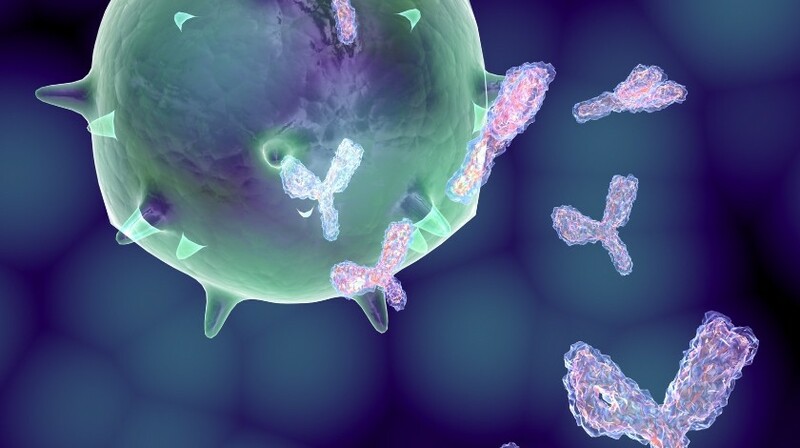 The group of researchers also demonstrated that A2V both inhibits metatasis and provides clear therapeutic benefits, whereas antibodies that block either VEGFA or ANGPT2 alone had a more limited efficacy. The team did note that although A2V caused the regression of many tumor blood vessels some did still persist following therapy. Moreover, the researchers observed that the accumulation of activated T cells around the tumor blood vessels (promoted by A2V therapy) also triggered a defensive response. This response involved the blood vessels producing the checkpoint ligand PD-L1 in an effort to “blind-sight” the attacking T cells. Fortunately, the scientists demonstrated that it is possible to overcome this by blocking the PD-1 receptor which further enhanced the anti-tumoral effects of A2V. “These data remind us that mechanisms of resistance to anti-cancer therapies are always beyond the corner. While A2V normalized the tumor blood vessels and facilitated the arrival of activated T cells, the anti-tumoral T cells became rapidly suppressed upon their extravasation to the tumor microenvironment,” De Palma cautioned. The team believe their findings support the rationale for co-targeting angiogenesis and immune checkpoints in cancer therapy.